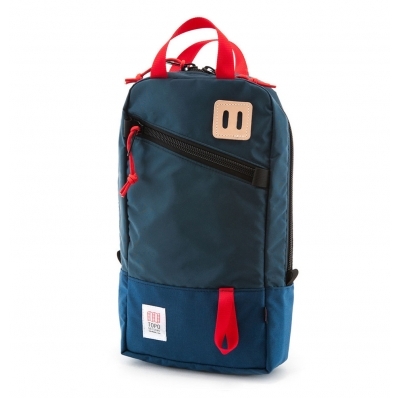 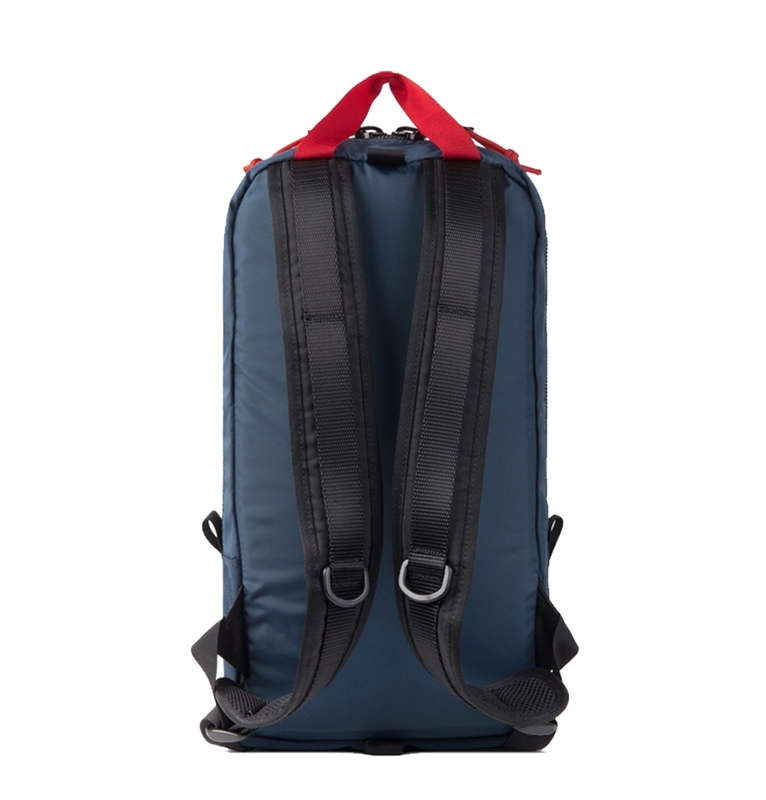 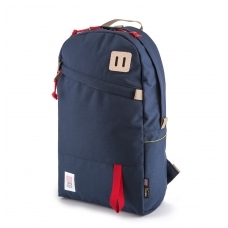 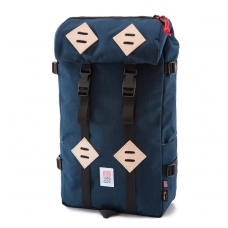 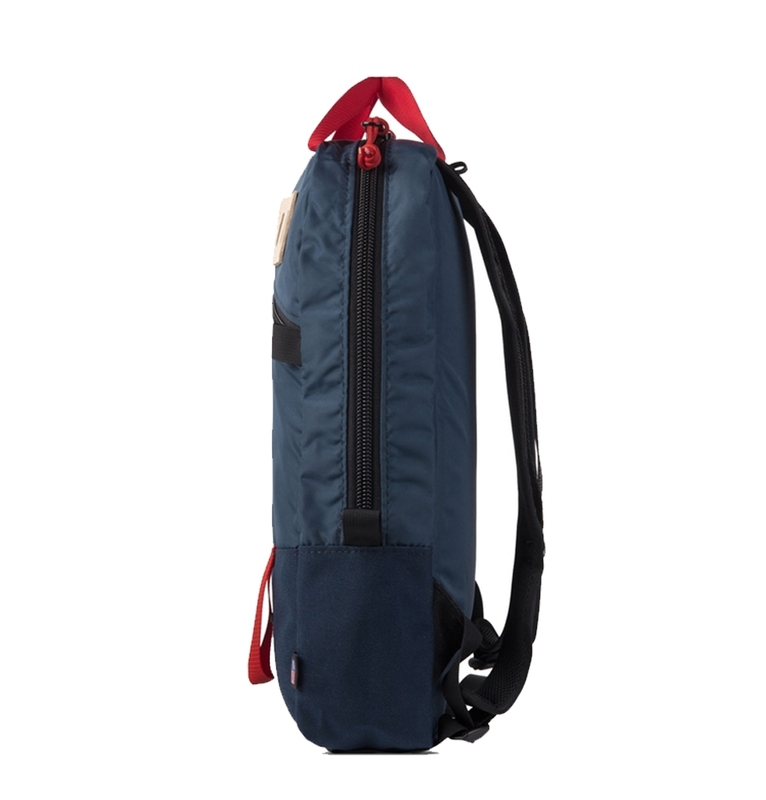 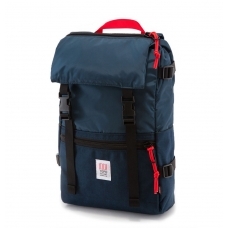 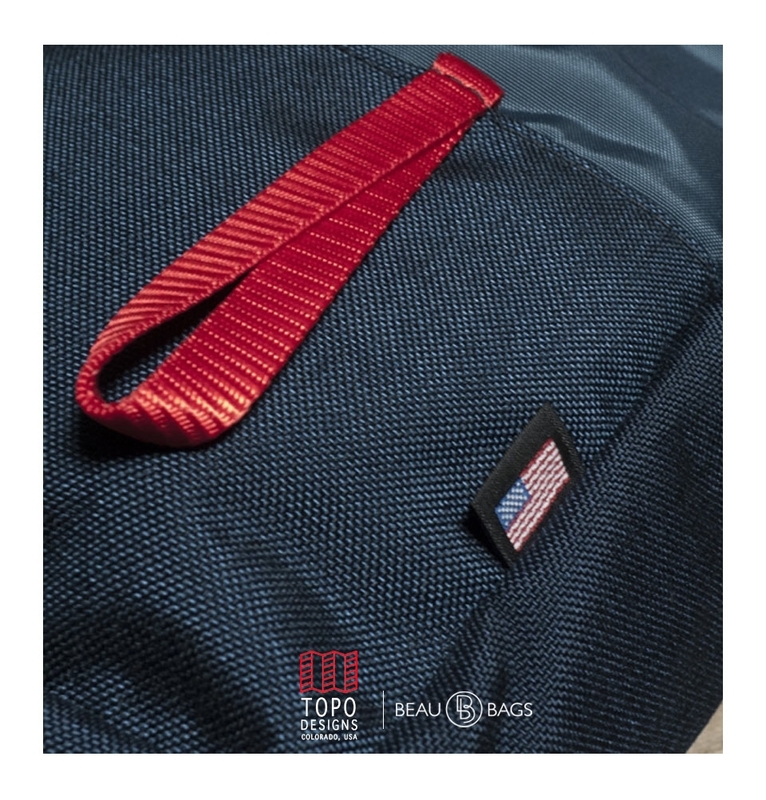 The Topo Designs Trip Pack Navy was born out of the desire to have the perfect size bag for day trips while traveling, tucking necessities under the seat on a plane or just carrying a few things while tooling around town or on the trail. 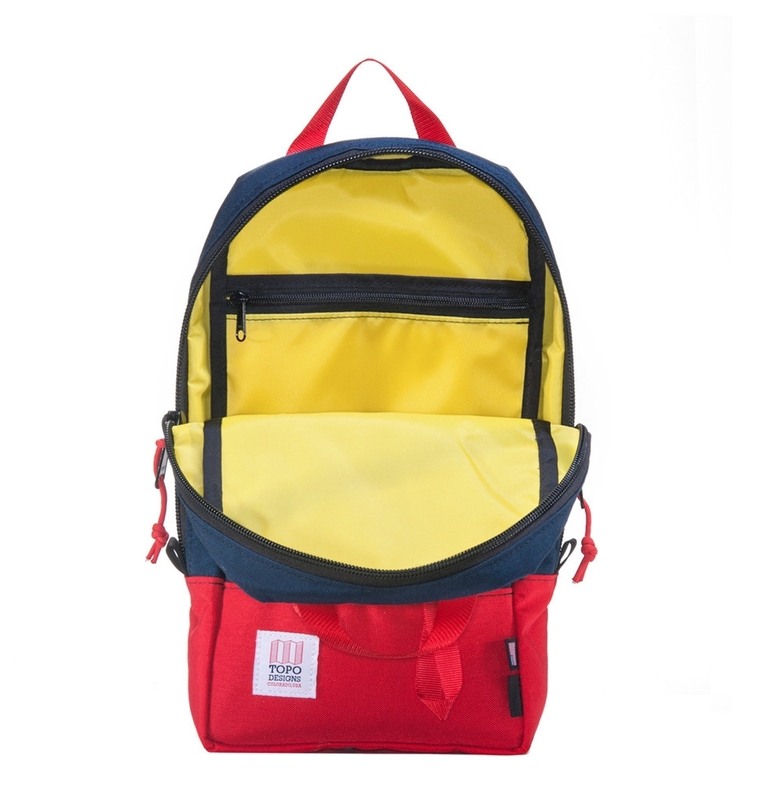 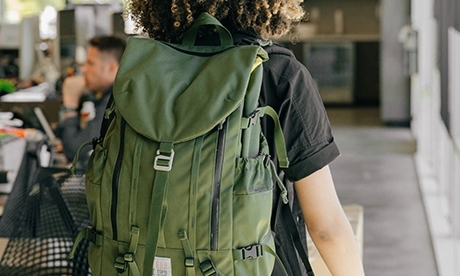 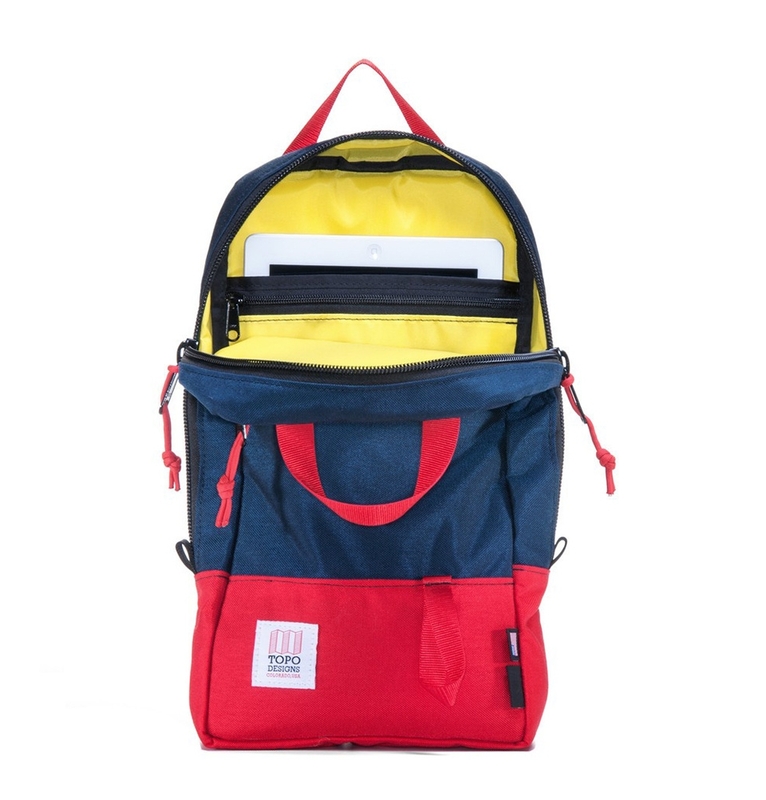 Topo Designs gave it all the functionality of a daypack in a light, compact size that will keep all those excursion essentials and that unexpected Virginia is for Lovers tee handily stowed away. 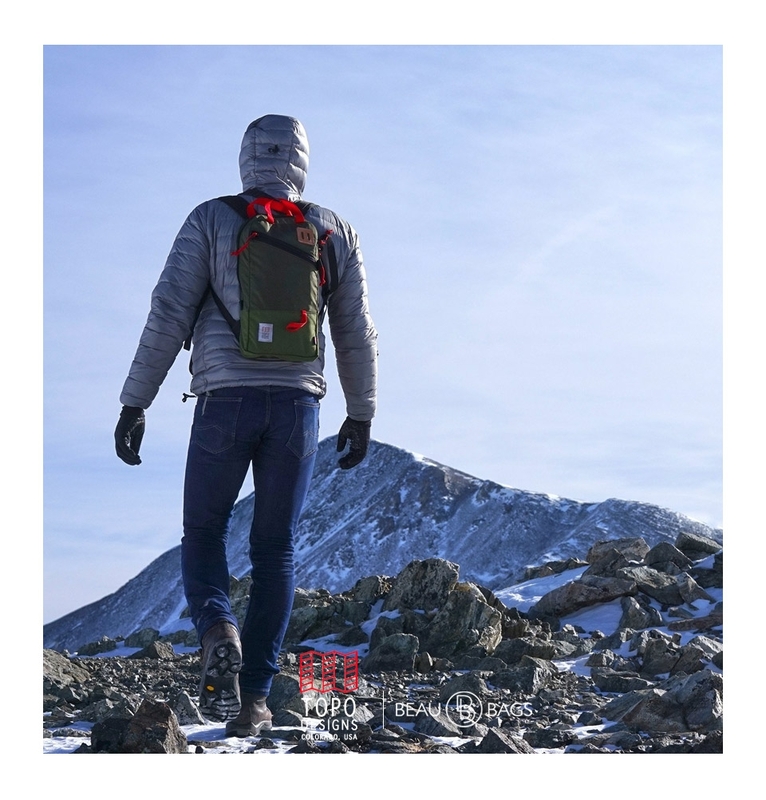 Topo Designs included an external zippered pocket as well as an internal sleeve with a zippered pocket that is the perfect size for an iPad or a travel journal. 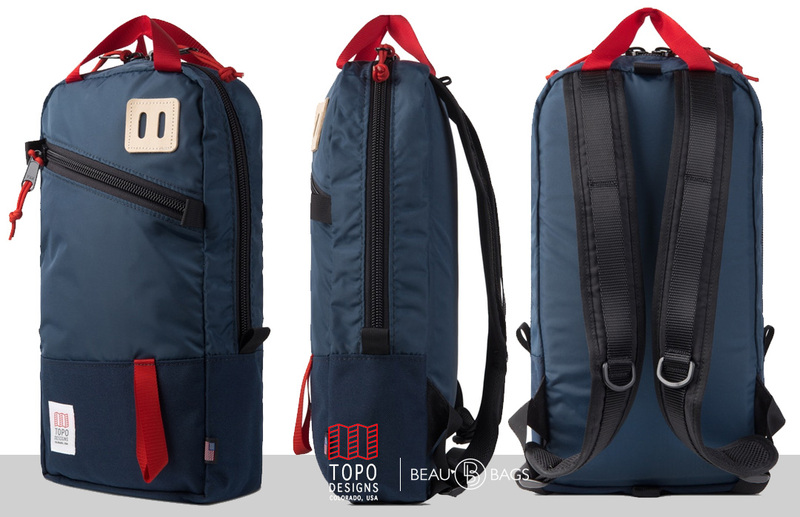 Best of all it works as a system with Topo's Travel Bag by simply hooking the integrated webbing loops to the quick release hooks on the front. 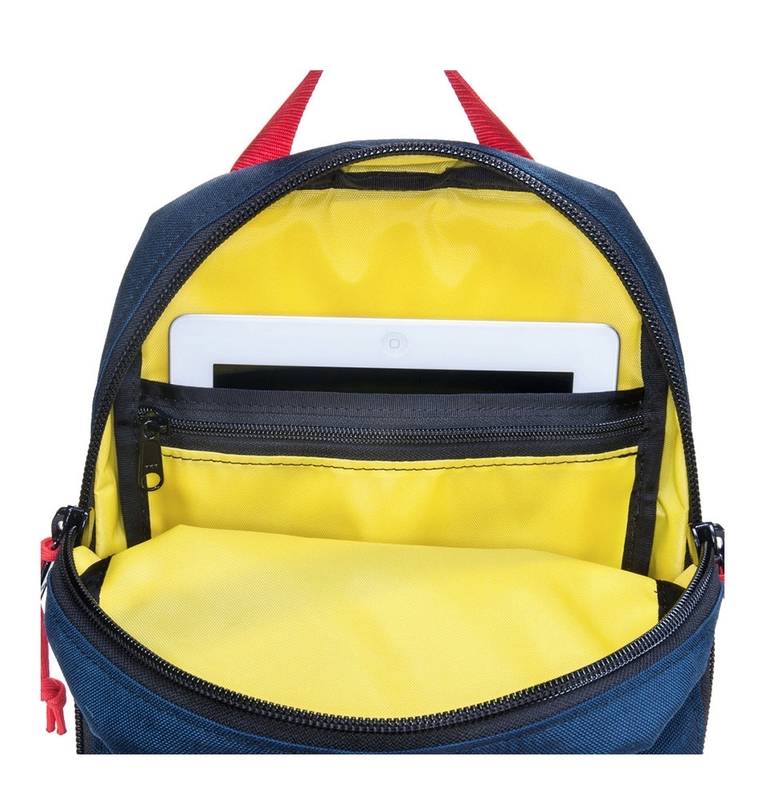 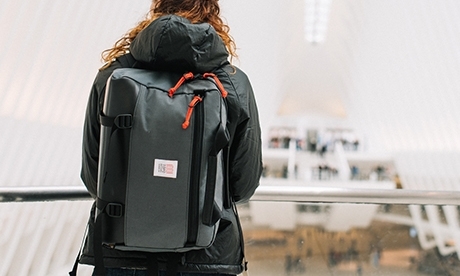 The hooks allow both bags to be carried at once and disassembled when you reach your destination. 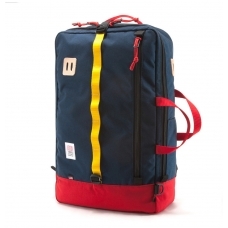 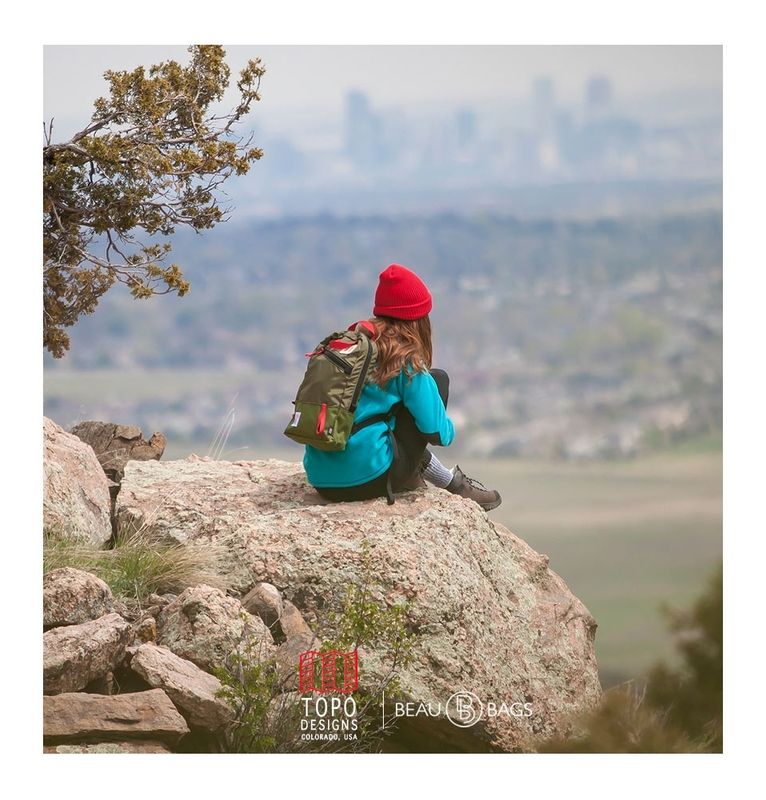 MADE IN THE USA, all Topo Designs Trip Packs are handmade in Colorado, USA. 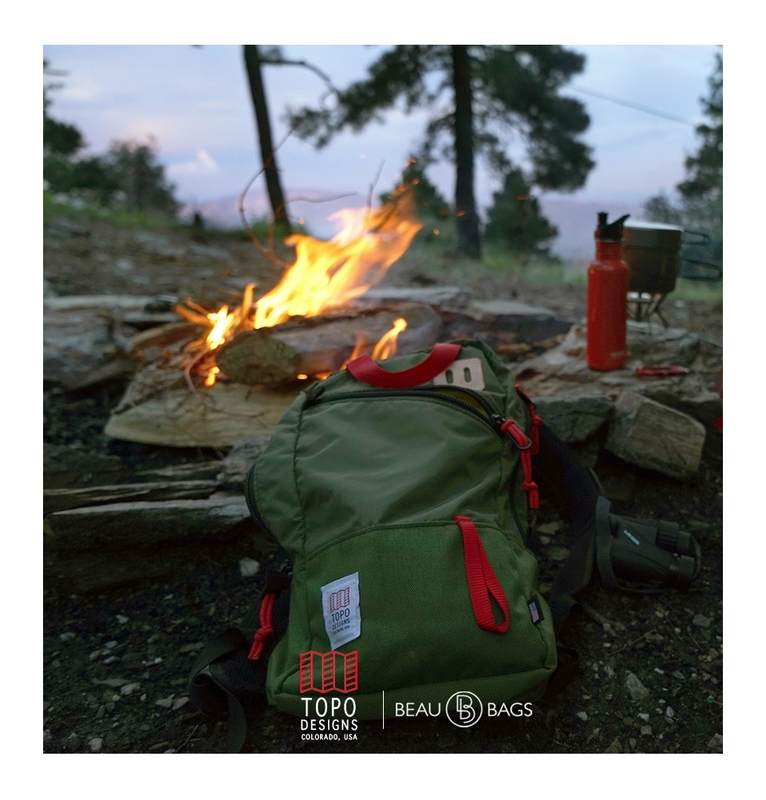 Growing up in the mountains of the West Topo has been using gear from their earliest memories. 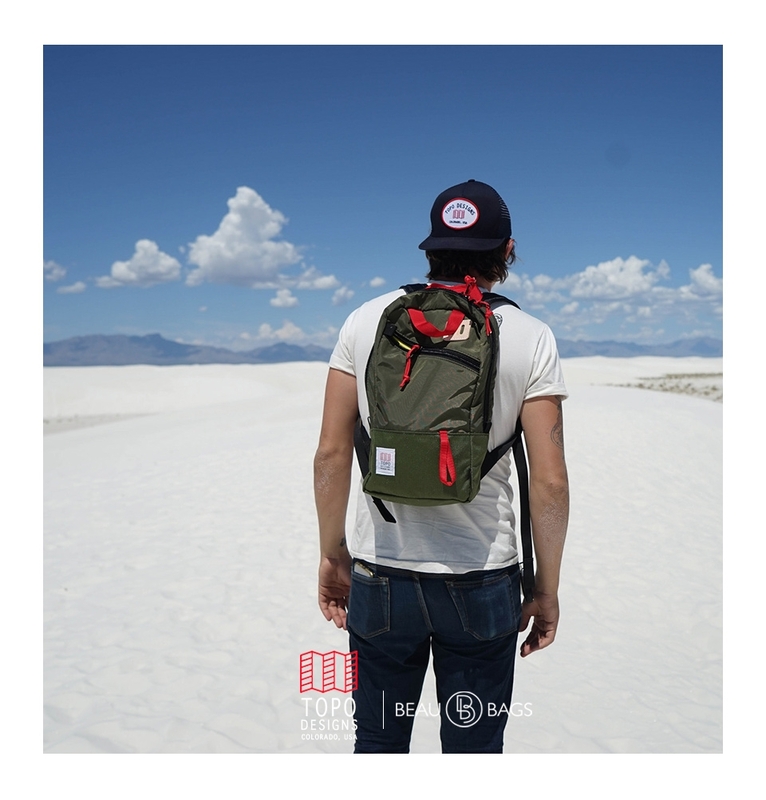 They are fishers, hunters, ski instructors, hikers, climbers, bikers, travelers, and throught it all they have searched for gear that really works - as well as satisfies with the standard fare, Topo sought out ski gear from France, Bags from Japan, all the while honing their tastes and growing a seed of desire to create something theirselves.